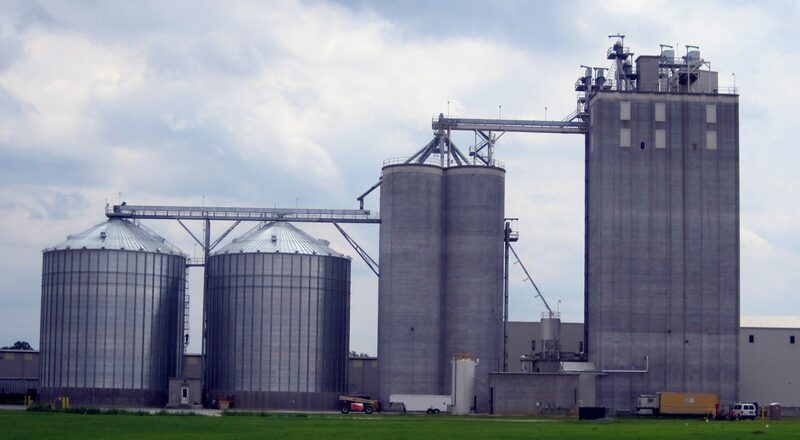 Temporary Grain Storage – Safe-Grain, Inc. 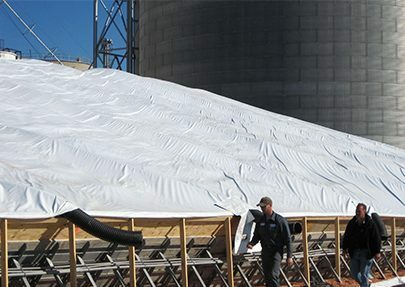 Temporary storage tarps and aeration system design services by Safe-Grain. 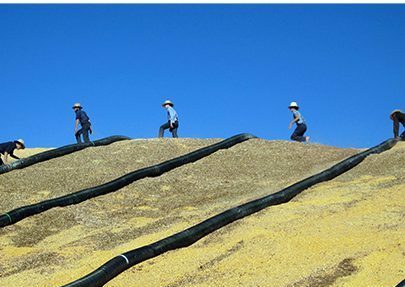 Note the plastic makeup air pipe under the tarp to provide air to the entire grain pile. 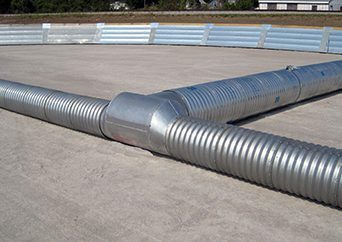 Heavy duty perforated and solid corrugated aeration pipe and TEE. 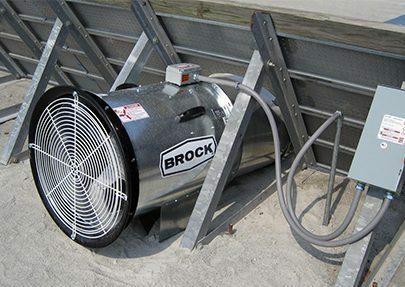 Aeration fan and wall adapters for temporary grain storage systems.